Welcome to this cozy FULLY FURNISHED home with EAST facing PRIVATE POOL in the desirable GATED SUNSET RIDGE!Home is featuring NEW EXTERIOR PAINT(2018). Functional LIVING AREAS are complete with UPGRADED CERAMIC TILE FLOORS; LAMINATE FLOORS in all bedrooms. Enjoy sunrises sipping coffee by the sparkling PRIVATE POOL where family and friends come together to relax and to socialize. NO REAR NEIGHBORS! 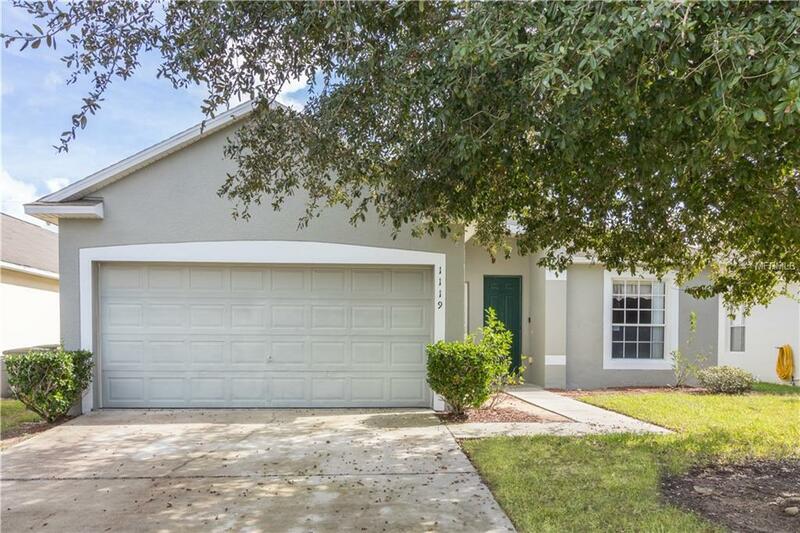 This sought after SINGLE STORY FLOOR PLAN has TWO PRIVATE MASTER SUITES and makes profitable income producing property within just a short drive to Disney, great second home in the heart of rapidly growing area or a full-time family residence with comfortable living spaces. Fully equipped KITCHEN is featuring BREAKFAST BAR, major kitchenware and appliances for pleasant cooking experience; separate open DINING area. Functional LAYOUT showcases optional 4th FULL BATHROOM conveniently located to honor your guests' privacy. All bedrooms are tastefully furnished to maximize rental income; separate spacious STUDY/FORMAL LIVING area, upgraded LIGHT FIXTURES, ceiling FAN in the family room, lovely HOME DECOR throughout the home. 2-car garage is converted into a fun GAME ROOM. Minutes drive from Posner Park stores, restaurants, Cinpolis IMAX movie theater and I-4 access for easy commute to major attractions. This is a nice turn key home - we welcome you to schedule private showing today! Additional Lease Restrictions See Hoa Covenants And Restrictions.